KYIV. 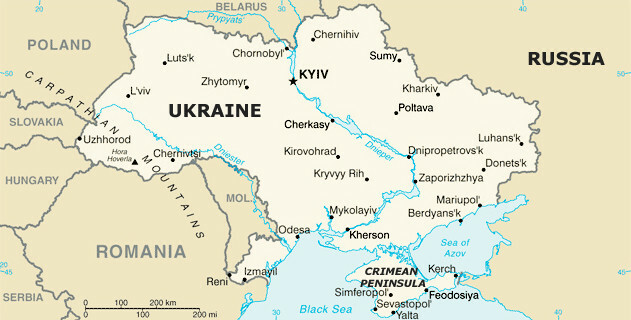 July 10 (Interfax) – Almost every second (49%) Ukrainian respondent is opposed to the land reform, or rather the cancellation of the existing moratorium on the sales of rural land, and does not support the privatization of public enterprises (47%) and the pension reform (46%), a poll conducted by GfK Ukraine and Qand Q Research suggests. According to the poll results announced in Kyiv on Tuesday, 45% of respondents do not support the hospital reform and 38% the judicial reform, while 33% are against the secondary education reform and 26% the army reform. The same share of the public opposes decentralization and 21%, large-scale road repair works. At the same time, 62% of respondents favor road repair, 41% decentralization and 37% army reform. Levels of public support for the other aforementioned changes are lower than that the reform of the Ukrainian Armed Forces has. A small number of respondents admit that they are aware of the judicial reform (41% say they do not know anything about it, with 38% saying that they know something but wish to know more and 19% believing that they are well-informed). The largest number of people say that they are well aware of the healthcare reform (9% claiming to be unaware, 51% wishing to know more and 38% saying that they are well-informed). The percentage of those claiming that they are well-informed of a reform drops further with regard to the road repair, the decentralization, the pension reform, the land reform, the education reform, the privatization and the army reform, according to the poll results. The all-Ukrainian poll was conducted by means of telephone interviewing from June 27 through July 1, 2018 with 600 respondents residing in populated localities situated in all Ukrainian regions in a representative sample survey of Ukraine’s population above 18 years of age. The surveys were conducted only in those parts of the Luhansk and Donetsk regions controlled by the Ukrainian government. The poll results are within a statistical error of 4%.